This style post was one of my favourite to shoot I think the city location was partly to do with it as well as a newly found love for this specific outfit. Soooooo, it was another hot day (which are now a thing of the past) and I wanted to keep it casual to go about Cambridge in yet sometimes I do like dressing up an outfit a little. 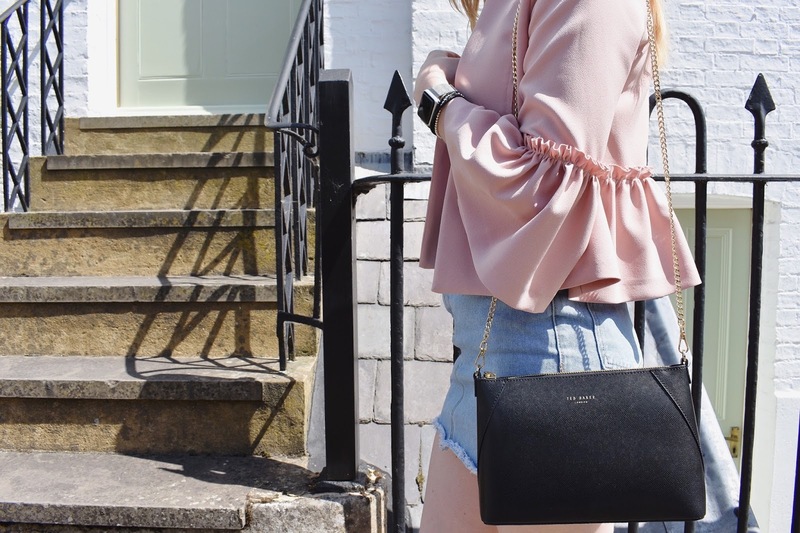 I also knew I wanted to wear this incredible frilly cropped, Topshop jacket which can be found here and costs £45. 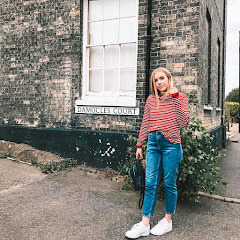 Since pairing this with a pair of light denim mom jeans in the past I knew that for Summer days pairing the jacket with light denim is lush but it was a tad hot for jeans so went for this Forever 21 denim skirt (which isn't available online anymore). 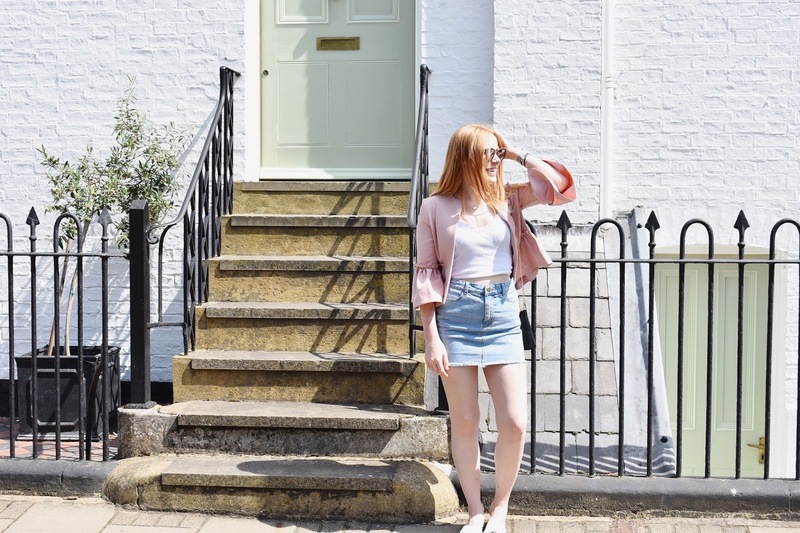 Still wanting to keep the jacket as the statement of the outfit I decided to pair it with a simple white jersey vest which is also from Topshop and can be found here. Wanting to keep it simple and casual so the whole outfit isn't too dressy and just let the jacket do all the work! 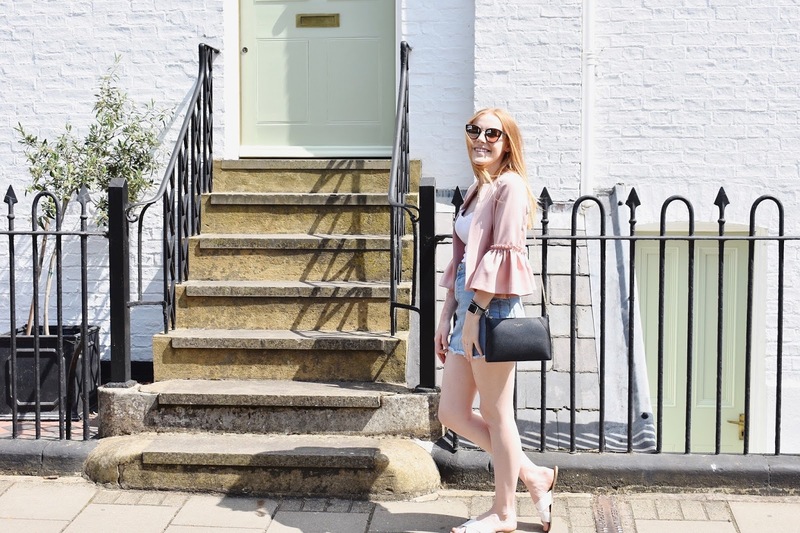 I think this outfit is perfect for strolling round a city shopping etc and it's fast become one of my favourite summer day outfits! 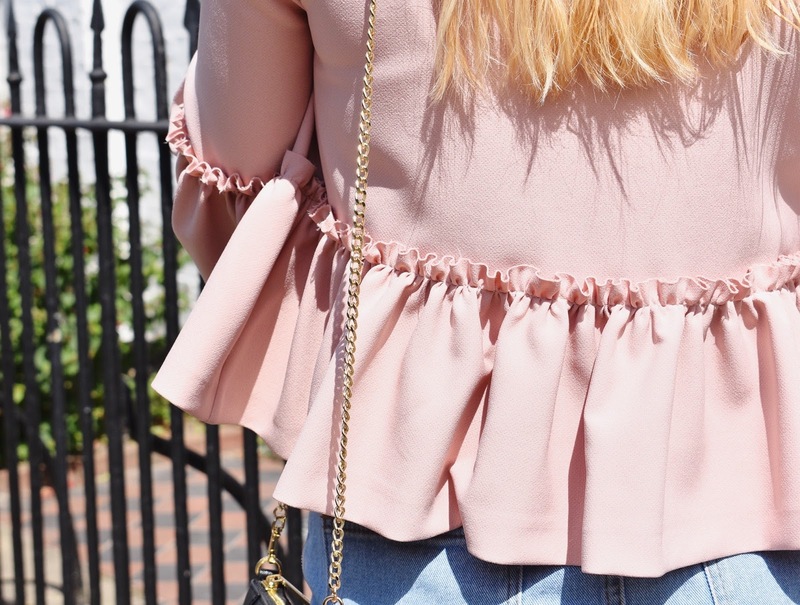 Cute this look with the pink top!